Make an Appointment Contact us to book! 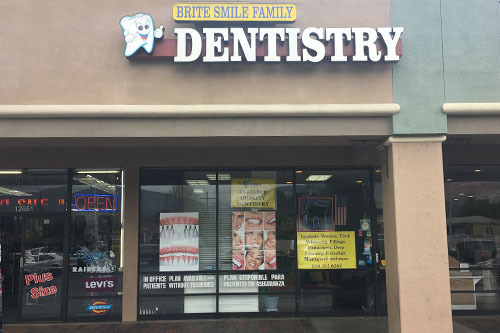 attention, offering complete dental services. Dr. Sarafian has been practicing dentistry diligently since 1991.
patients’ achievement of advanced dental health. Our goal is to provide you, our patient, with the best quality dental care in a relaxed setting. We have gone to great lengths to make our office environment modern, educational and state-of-the-art, yet comfortable. Dental treatment can be intimidating to many people we would like to put your concerns to rest. We want to help you achieve optimum dental health maintaining your teeth and gums in their best possible condition. We believe this can be done in a conservative, educational and ethical process. Our philosophy is also one of open communication. We want you to be an important participant in your dental treatment. We always want you to feel that you have been treated respectfully in our office, and to be happy with the treatment provided. We want you to be proud of your smile. We will consider ourselves successful if we can cultivate a reputation for care, quality and service. This will be measured mostly by your confidence and personal referral of other patients to our office. Again, our goal is to establish an honest and trusting relationship with you ‚ our patient‚ and to treat you with the same care and concern that we would give to one of our own family members. Dr Norman Sarafian has been serving the city of Sylmar and its surrounding areas including , Pacoima, Mission Hills, Arleta, Granada Hills, Northridge, Porter Ranch, Chatsworth, Panorama City, Sunland, Tujunga, San Fernando, Sun Valley, North Hills, North Hollywood, Lake View Terrace, Shadow Hills, Van Nuys, Canoga Park, Winnetka, Reseda, Los Angeles, Burbank, Valley Village, Toluca Lake, Sherman Oaks, Studio City, La Crescenta, Montrose, Glendale, La Canada, Stevenson Ranch, Valencia, Canyon Country, Santa Clarita, Saugus and more. Our clinic can easily accept the customers with insurance cards and create the history of cases for each. All our surgeries are furnished with state of the art equipment and maintained at the highest standards.